We are excited to announce Camfrog Voice Chat 1.0 for the iPhone has been submitted to the Apple App Store. Our Camfrog Voice Chat 1.0 version allows you to see your contact list, IM your friends, send snapshots, voice chat privately, join chat rooms, and voice chat and listen in chat rooms. I have been voice chatting in the chat rooms over the past few months testing and it’s really fun, plus it even works over 3G and Edge. Why no video? We decided to release this first app version as soon as possible then if it’s popular and gets good feedback we will consider adding private one on one video, then maybe eventually chat room video. We’ll keep you updated and let you know when the app is accepted and available to download via the Blog! Public, we are working on something for you. still can’t find the app on itunes do you have a link ? Taz, it was submitted, waiting for approval now. carnt wait bets it makes a fortune , carnt wait al be able to be on camfrog all the time !! about time… looking forward to downloading it when it hits the app store. One week already and where is APPS?? I am soo dying to get one! Will it be pro code based at all like the original camfrog client to get special features ? Sweet, Will there be an update to the windows mobile application? or a release on Android? Blackmanathome, we are investigating Android. The app was delayed because Apple requested some UI changes for how the disconnect message appears when leaving a room, so we have to resubmit. We’ll get it done though and hopefully resubmit Monday/Tuesday. This is off-topic since I can’t comment on the post I was trying to post on. So I apologize for the off-topic comment. I understand the mac version does not support powerpcs anymore. But why…. why didn’t you warn the users through the upgrade popup notification? I was running 1.9 perfectly with no problems but I figured well this annoying pop up keeps telling me to upgrade so ok I guess I will. Now I can’t access camfrog at all. Why isn’t there a link to the old version? I realize you ‘do not support’ it but at least a link to the old version would’ve been nice. I love using camfrog but you guys really need to put the warnings up front for users. I’m not just talking about Macs either. The same thing happens with the PC upgrades. You boast about a new version and everyone flocks to upgrade it, only to find it causes issues with certain rooms. Sorry for the rant, but it’s frustrating when one second you’re using functioning software and the next, you’re locked out and done. guess it won’t be long before XP isn’t supported… good times! and yes I can still have access on my PC currently. So you don’t need to refund my account but a simple up front warning would’ve saved me this trouble. a link to the old version would be awesome. We have given refunds to everyone who asked about this. The problem was unexpected and there’s nothing we can do. We aren’t allowed to distribute the old version anymore because we no longer license that video technology. what about an app for the blackberry? Our iPhone app had a bug with 3G networking. We have resubmitted Camfrog Voice Chat for iPhone to Apple and hopefully it will get accepted soon. Thanks for your patience. 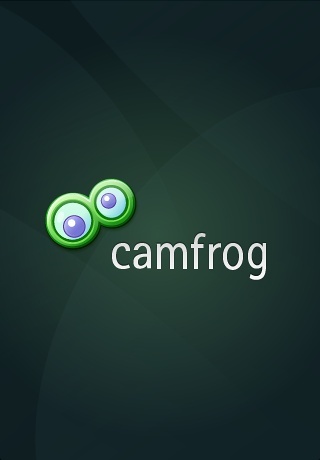 As we all were lead to understand from day one that, Camfrog had developed it’s own SDK and video technology. Was this a lie? Was this a license thing? That would have been a lie from the get-go. The new incarnations of the video stuff have been less than spectacular, perhaps this is the reason why. Witness “SuperCamfrog”. if you choose a proper server company and or host they would have some kind of ddos protection. The first fee things u can do to reduce a ddos attack is one turn on the windows firewall and go to the settings of it look of imcp click settings and unchecked every checkbox. This will stop the server replying to ping requests of any sorts. I had servers in the FDC datacentre and have just moved them out to anew facility because their Denver datacentre got ddosed I mean the whole network . That’s really sad when u think of it. any good hoster will tell u what I have just said ( not the ones that rent a crappy dedicated, vps or cloud server and say they own it ). I for one welcome our new robot overlord. On a quick note, i was able to experience the high quality video In SuperCamfrog and my own personal room which was also set to Super Quality. Maybe you should upgrade your Graphics card to see these marvels in Technological Breakthroughs. In all fairness Camfrog is a Company, like all Company’s they have the up sides and down sides. It just seems that though there are 1000000 Upsides to Camfrog the downsides are being exploded out of proportion and people are making Camfrog out to be a Money hungry fiend of the Social Network industry. Let’s see some of you do the work that is needed to build a Program of such complex Sophistication and Sexiness. Camfrog is the Pioneer in the Video Chat Industry. I use Skype, Windows Live Meeting, MSN Messanger, and Camfrog. No other program has matched the supreme quality of which Camfrog offers for a $50 charge. Here’s to Camfrog who haven’t done a bad job in my eyes. Camfrog have done a wonderful job, the only peace of constructive critisim is that their helpdesk support is useless. I often send emails and hardley ever get a responce or I do get a responce it’s weeks old. I would like to see camfrog work on that. We have just upgraded all our Seders to Linux to become to first mainstream cfhs hoster to be hosting rooms on Linux vs windows. if any of you are wanting to setup Linux to host ur rooms it’s very easy! Man! I’d almost pay for the development cost to export Camfrog for OSX to Linux. OSX under the hood is FreeBSD so I know it can be run on *nix. Camfrog is the only reason I still use Windows. Under a VM it still doesn’t work right. Under Wine it doesn’t work right so emulation is not in the question. Camfrog might see it not worth while but think about this. When ChomeOS gets released and people start actually using Linux it’s going to be a big market share you’d already have a footing in. None of the other IM guys have decent clients for Linux. You’re always forced to use third party apps to get IM’s going decently. Also the latest Ubuntu 10.04 is so advanced it actually is better and more intuitive than OSX for me. I know I will have a bunch of bashers based on that comment. Go try the x64 version and say I’m wrong. I just feel video chat should be something on the PC not the phone. I really do wish Camfrog would make a client for Linux. Ubuntu/Debian is the #1 distro so please keep that in mind. Centos is #1 for servers though 🙂 based on the amount of ISO downloads :). We may decide to make a Linux version in the fall. We have never had the ability to do so until recently, and I am not 100% if we can do it now or not. We will investigate it more and decide in the fall probably. Is there an eta on the iPhone app yet? Admin, Whatever I can do to help you out with a Linux version IM me. 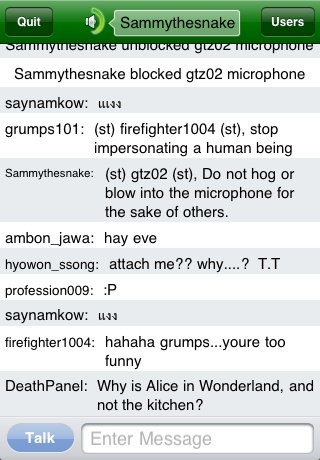 My Camfrog name is Guitargeek1986. I’ll beta test whatever you need. Piratefish is even willing to work with FreeBSD. I’m an Ubuntu junkie myself. 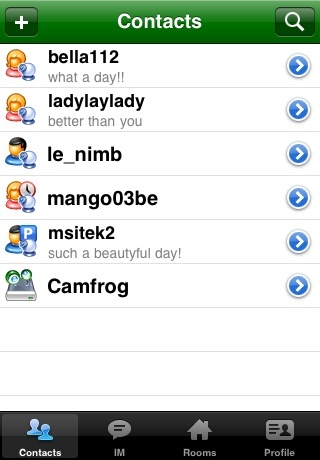 what happend with windows mobile version of camfrog ?